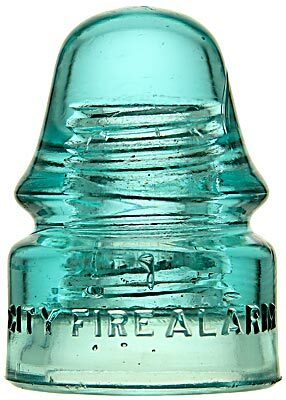 CD 133 CITY FIRE ALARM, Light Blue Aqua; FIRE! FIRE! FIRE! A popular New England style used only in Fall River, MA!